“Everything from the birth to the death of a person is administered by the local government council. Maternity clinics, pre-schools, playgrounds, developing small roads, maintaining street lamps, disposal of garbage, approving plans for houses and buildings, partitioning of land are carried out by the local councils. These councils earn their income from assessment taxes, stamp duties and fines collected from the area. Also, the local councils get an income from government projects carried out with the mediation of the local councils. The income of Colombo Municipality for last year was Rs. 14000 million. The estimated income for 2018 is Rs. 16000 million. Funds can be found to provide infrastructure facilities for the masses from local councils. As such, it is not necessary to give power to the party that governs the country to get things done from local government councils. 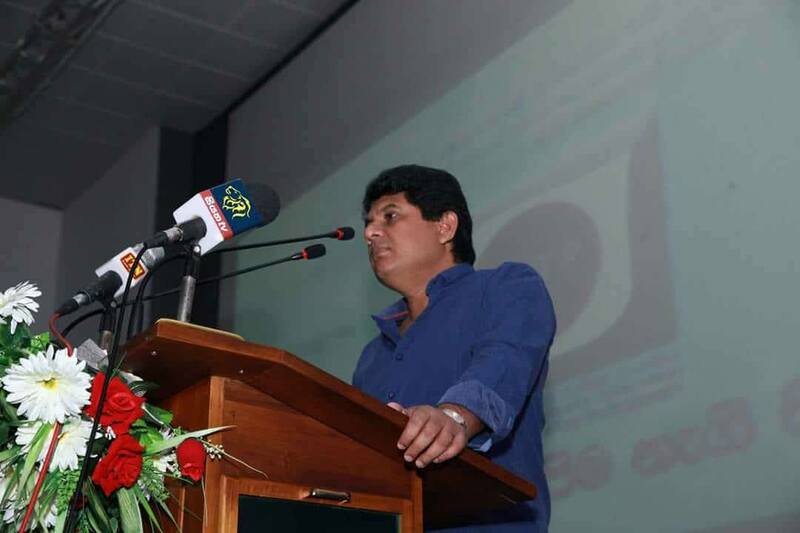 We ask the masses in this country to give the power of the local councils to the JVP to show how they could be developed,” says the Information Secretary of the JVP Vijitha Herath speaking at a press conference held at the head office of the JVP at Pelawatta today (22nd). Mr. Herath said, “We have been able to present our nomination lists successfully on both occasions. We have presented nomination lists for 311 local government councils. We are contesting 4 councils in Jaffna District, 1 in Killinochchi District, 1 in Mannar District, 5 in Vavuniya District in the Northern Province. In the Eastern Province, we contest all the councils in Trincomalee District, 12 councils in Ampara District, 6 in Batticaloa District. We have not presented nomination lists from the JVP to Bandarawela UC and Bandarawela Pradeshiya Sabha. On a request from the people in the area an independent group that includes members of the JVP, SLFP and UNP have been nominated through the People’s Movement against Uma-Oya multi Destructive project. The JVP nomination lists contain professionals including doctors and engineers, artists, farmer leaders, leaders of fishermen’s organizations, representatives from women’s and youths’ organizations without any religious or communal bias. The biggest of all municipalities and urban councils is the Colombo Municipality. Colombo Municipality represents 5 electorates. The JVP has put forward Specialist Dr. Ranil Jayasena, an experienced doctor, a lyric, writer and an author as the mayoral candidate. 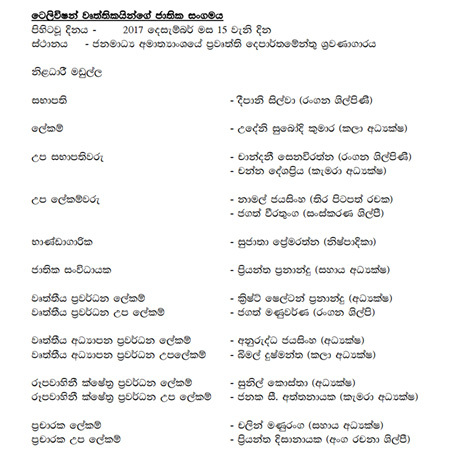 JVP nomination lists do not have a single person connected with illegal activities. We have been able to present teams of candidates who are free from any crime and anti-social activities. Names of underworld figures and the corrupt have been included in nomination lists of other political parties. Despite we opposed the inclusion of such people when nomination lists were accepted, the returning officers could not take any action. The people could see the change when they look at the nomination lists. Also, other parties had included names of people against the prevailing election law. According to amendments to the Local Government Elections Act filed offices who contest the election should have resigned from service a year before. However, names of such offices that are still in service have been included in the lists. People should not waste their votes by casting their votes for them. Colombo Municipality is the most hotly contested local council. The SLFP has put forward Mr. Assad Sally who has jumped from one party to another. The UNP has put forward Ms. Rosy Senanayaka who was defeated at the last general election. The JVP contestant is the Specialist Doctor Ranil Jayasena. W have put forward a number one contestant to Colombo Municipality. Chartered engineer Eric Ediriwickrema contests Gampaha Municipality from the JVP. Most of the other parties made mistakes when handing over nomination papers. Mr. G.L. Peris’ Sri Lanka Podujana Peramuna (SLPP) attempted to show it had big power. However, 6 of its nomination lists were rejected in the first round and 5 more lists were rejected in the second round. G.L. Peiris, said to be a legal expert could not prepare nomination papers correctly and had 6 of them rejected and the same mistake was repeated a second time and got 5 of them rejected. The election elects a large number of members for Municipalities, UCs and Pradeshiya Sabhas. The Mayors, Chairmen who were elected to these councils from the two main political parties for several years wasted funds of the councils. They earned for themselves. The local government councils degenerated. Hence, there should be a new beginning to all these councils under a clean and efficient leadership. First corruption and waste should be eradicated to develop the village or the town. All local government councils are full of corruption. Colombo Municipality has no proper scheme to remove garbage. Both UNP and SLFP administrations that ruled the Municipality could not manage the disposal of garbage. They started stealing from garbage as well. The theme of the JVP at this election is “Power to build village & defeat corruption”. The JVP has already commenced its election campaign. Several main rallies will be held in main cities of all district chaired by the Leader of the JVP Comrade Anura Dissanayaka. Also, meetings will be held in all Pradeshiya Sabha, Urban Council and Municipal Council areas. We will also present a programme to build the village and the town under a JVP administration. The candidate of the ward will present a leaflet describing how the area would be developed. Thissamaharama Pradeshiya Sabha has shown how a village could be developed by a JVP administration. This Pradeshiya Sabha was chosen as eh best local council in the island. It maintained this position every year and the JVP was elected to rule the Pradeshiya Sabha for the second time in 2006. However, the government, unable to endure the popularity the JVP was gaining, illegally handed over the Pradeshiya Sabha to a commissioner. Now the government states the ruling party should be given the power in eh local council to develop it. It is a blatant lie. We, of the JVP, have shown how a local council could be developed without the power of the government. Everything from the birth to the death of a person is administered by the local government council. Maternity clinics, pre-schools, playgrounds, developing small roads, maintaining street lamps, disposal of garbage, approving plans for houses and buildings, partitioning of land are carried out by the local councils. These councils earn their income from assessment taxes, stamp duties and fines collected from the area. Also, the local councils get an income from government projects carried out with the mediation of the local councils. The income of Colombo Municipality for last year was Rs. 14000 million. The estimated income for 2018 is Rs. 16000 million. Funds can be found to provide infrastructure facilities for the masses from local councils. As such, it is not necessary to give power to the party that governs the country to get things done from local government councils. We ask the masses in this country to give the power of the local councils to the JVP to show how they could be developed. All these groups, the UNP, SLFP Maithri faction and SLFP Mahinda faction have been accused of frauds and corruption. The UNP that asked power to stop corruption and thieving committed the Central Bank bond fraud. Ravi Karunanayaka accepted houses for bond fraudsters. The UNP members in COPE carried out telephone conversations with Central Bank thieves. As such, they are accused of the Central Bank bond scam. Today the membership of the UNP are frustrated with its leaders. President Maithripala Sirisena is in a very bankrupt state. He is unable to prepare a candidates’ list. He is so bankrupt that Assad Sally who jumped from one party to another and back has been made his candidate. An announcement has been made by the Presidential Secretariat that a group from the JVP has joined the SLFP. Maithripala who polled 6 million votes is now collecting garbage. The Presidential Secretariat has come down to the low level of publishing such announcements. The President is abusing public assets. Anjan Umma, who is in this list of so-called JVP members is a member of Wimal Weerawansa’s party. She also contested the election from the UNP to Gampaha District. How could she be a member of the JVP? S.B. Subasinghe is the farmer leader of the Frontline Party. He has been attached to the Presidential Task Force for more than a year. How could he, who was with the President, be a member of the JVP? Ranaweera Pathirana is a member of the Director Board of an institution under Duminda Dissanayaka. He left the JVP several years ago. Dimuthu Abeykone is a member of the Frontline Party. Later, he served as a consultant to Kiriella. Anura from Anuradhapura District contested the Provincial Council Election from the UNP. Later, he became a coordinating secretary to Peshala Jayaratna. Boominathan is a member of Thondaman’s party. How could they be members of the JVP? The President shamelessly takes the scum removed from the JVP to his lap and make announcements. They are like migrants. Now, Maithripala Sirisena is like a bottle and paper man who collects discarded waste material. G.L Peiris’ party now asks power to stop the country from being divided. They say they are against the division of the country. Who is G.L. Peiris? He is the ‘package pappa’ who brought the package during Chandrika’s government to divide the country. G.L. Peiris who had discussions with Eric Solheim at ‘Oslo talks’ to divide the country now say he is against dividing the country. ‘Package Pappa, who has gathered a clique of fraudsters and thieves, now pretends to be a patriot. People should understand what sort of people they are. We invite the people to defeat all these pseudo-patriots and make this a decisive election to elect a clean administration that would develop the village and the town. We also ask the masses to rally with the JVP to move along the path towards development. The UN General Assembly voted 128-9 to declare US President Donald Trump’s declaration of Jerusalem as Israel’s capital “null and void”. Earlier, the US ambassador to the UN Nikki Haley had warned stating that Washington would remember which countries “disrespected” America by voting against it. Despite the warning, 128 members voted on yesterday (21st) in favour of the resolution supporting the longstanding international consensus that the status of Jerusalem, which is claimed by Palestinians as their capital can only be settled as an agreed final issue in a peace deal. Only nine states – including the United States and Israel –voted against the resolution. The other countries which supported Washington were Togo, Micronesia, Nauru, Palau, Marshall Islands, Guatemala and Honduras. The professional television artists have formed a new union to find solutions for issues confronted by the professionals engaged in TV industry and to get rid of the cultural erosion that has occurred due to such issued faced by artists. As the artist’s collective that was formed on political and personal agendas has not addressed the common grievances of artists nor has the organization done anything to uplift the professional level of artists, the new organization was formed without any political bias and with genuine professional objectives say the organizers of the new union. The TV Professionals’ National Union was inaugurated at the Ministry of Mass Media on 15th December 2017 based on 7 objectives. Renowned Artist, Deepani Silva has been elected as the President and Art Director Udeni Subodha Kumara has been elected as its General Secretary. A protest rally participated by all political parties held against the illegal declaration by US President Donald Trump naming Jerusalem as the capital of Israel will be held at New Town Hall in Colombo today (22nd) at 3.30 p.m. 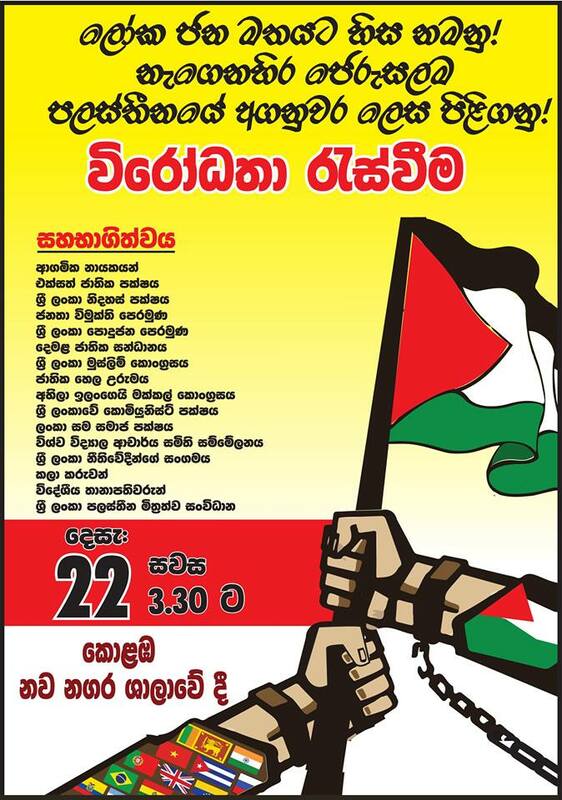 Leaders of political parties, religious leaders and intellectuals are expected to participate at the protest rally jointly organized by the Palestinian Solidarity Movement in Sri Lanka and Sri Lanka-Palestine Parliamentary Friendship Association. The SLFP, the UNP, the JVP, SLMC, All Ceylon People’s Congress, Sri Lanka university teachers’ union, TNA, Communist party of Sri Lanka, Bar Association of Sri Lanka, Artists associations and media associations are expected to condemn the arbitrary decision of the US. A petition is also expected to be signed by the participants condemning the arbitrary decision of the US President. Though the government wants to show there is a massive coconut crisis in the country there is no such coconut crisis in the country and the proposal by the government to import coconut should be immediately withdrawn as importing coconuts is illegal and such a move would also bring various viruses and bacteria that would destroy the coconut plantations in the country says the convener of All Ceylon Farmers’ Federation Namal Karunaratna. 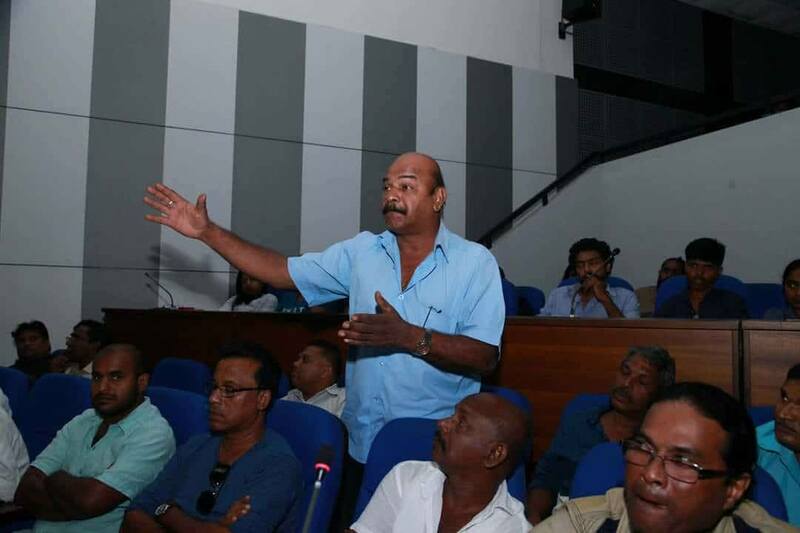 He pointed out that a ship of coconuts brought by Rajapaksa regime had to be dumped in the sea as bringing coconuts or any coconut kernel is illegal according to Plant Protection Act of Sri Lanka. Mr. Karunaratna made these observations at a press conference held at Ganewatta area in Kurunegala. 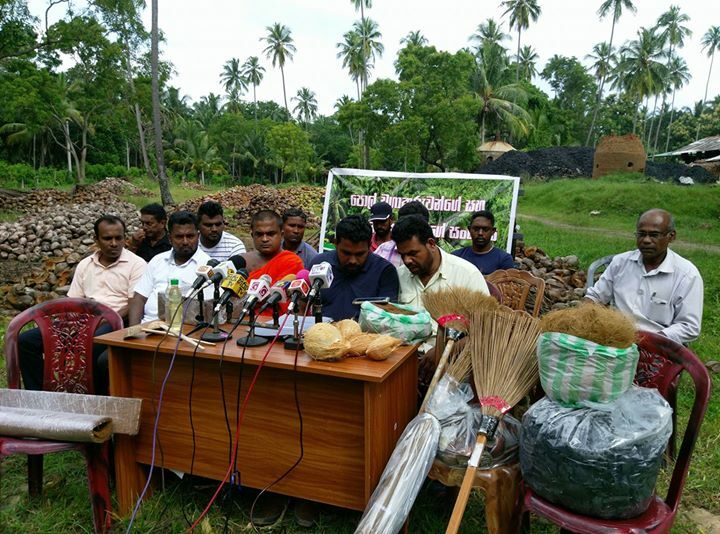 The press conference organized by the Coconut Planters & Industrialists Association to apprise the media regarding the downfall of the coconut industry and related issues was held at closed down factory that had produced coconut related products. 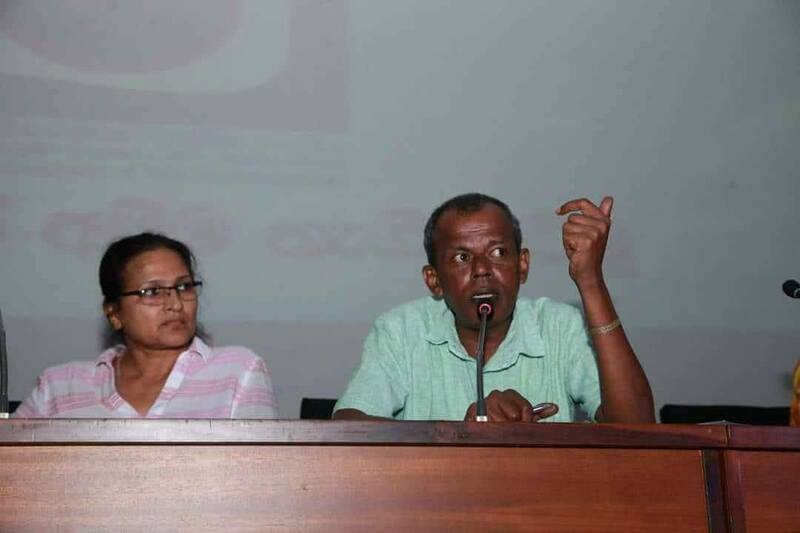 Speaking at the press conference attended by several organizations of coconut planters and coconut industrialists Mr. Karunaratna said, “ The normal annual coconut consumption in the country is about 2000 million coconuts. We export the rest of the crop. As such, it is not necessary to import coconuts. There is no big difference in eh coconut harvest at present. What is necessary is to manage the distribution of eh coconuts that are available in the country. However, the rulers, without doing what is necessary, are trying to destroy the whole coconut industry. The farm oil that is imported as an alternative to coconut oil has become a calamity to coconut industry. Importing farm oil is one reason for the breakdown of the coconut industry.